CONSTRUCTION READY-PAD READY! APPROX 27,000 cars per day or 10 million per year. $2.138,000 for the full 3.5 acre site with approx 670 ft frontage on SR 16. Only construction ready site on SR 16. 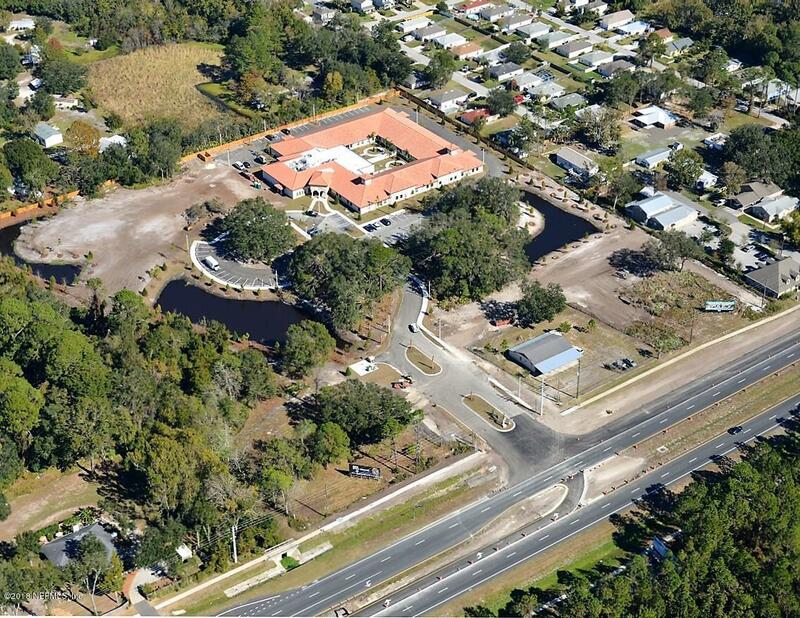 Fully planned and permitted with the SJRWMD, COSA (water & sewer) and FDOT (median turn & decel lane) permits in hand. Engineering includes drainage, water runoff & retention ponds (see plans in pics). Originally 12.5 acres. 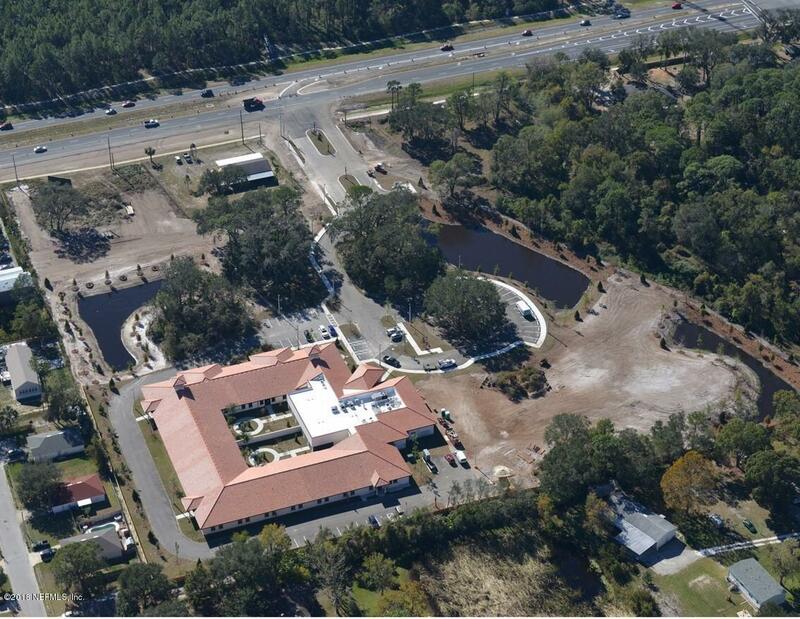 Construction completed on the Symphony Memory Care Facility on rear 9 acres. Front 3.5 acres has 2 sites. 1.22 acre site on W side of entry approved for 6,000 sqft bldg. Priced at $15./ft. Entryway is lighted, landscaped and has marquee signage.The larger, 2.28 acre site on the Eastside of driveway is approved for 20,800 sqft of specialty retail. Priced at $13.5/ft. Owners have paid for hard to get concurrency as well as the median turn lane, deceleration lane, upscale entry way, lift station, force main, retention ponds, engineering fees, surveys, phase 1 environmental, geotech drilling, application/permit fees etc. (Note, test and studies do expire and will need to be updated by purchaser. Originally all test and studies passed). The N to S expressway (SR 313) will have an exit approx 1/3 mile to the West. The first mile of this highway is proposed to start in 2020. Land purchases for the right of way should be completed in 2018. Phase 1 will connect SR 207 to SR 16 when completed.